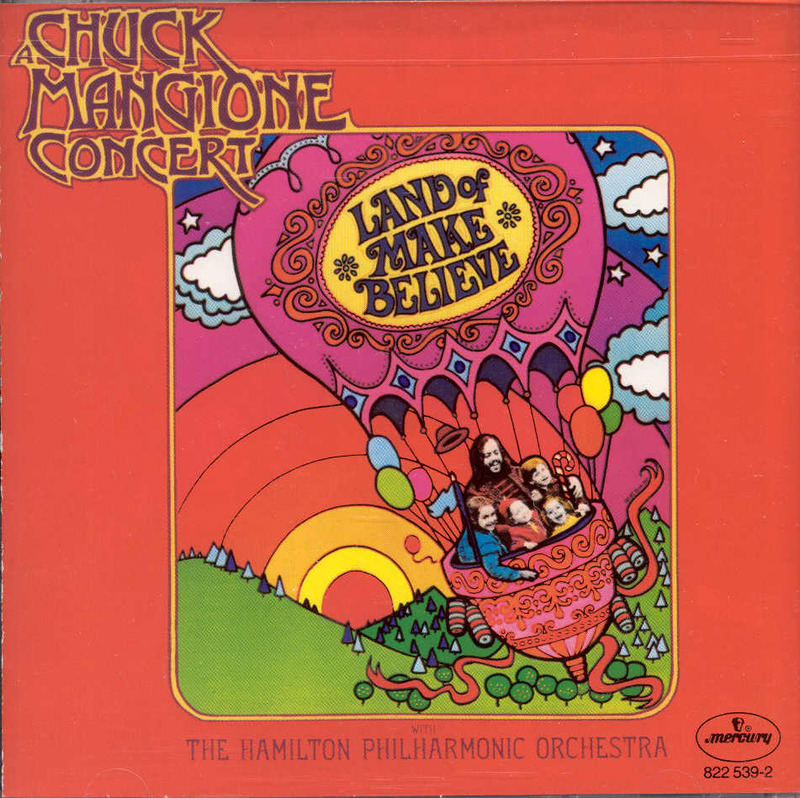 Though much less expansive than Mangione's other Mercury concerts (only 37 minutes on a single CD or LP), Land of Make Believe is the most successful of the lot, a winning combination of attractive tunes, big-thinking orchestrations, just enough jazz content, and a genuinely felt sense of idealism. Here there is no dead weight; all of the material is very engaging, and the combined forces of Mangione's quartet and the Hamilton (Ontario) Philharmonic are on fire. The performance of Mangione's "Legend of the One-Eyed Sailor" still exerts a ferocious jolt of life-affirming energy; "El Gato Triste" is an attractive Latin number; the buoyant "Gloria" from The Mass of St. Bernard with the Horsehead Chamber Singers makes one want to hear more. The child-like title tune has both a touching sense of naivet� and a lot of drive in key spots -- credit expert drummer Joe LaBarbera with the latter -- and Esther Satterfield's clear-eyed Nancy Wilson-like vocals made her famous for a time.